The Monkeys: We're Island Cats! 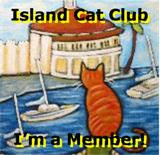 We're very excited because we have recently become members of the Island Cat club! The only prerequisite is that you live on an island, and Montreal is indeed one of those! 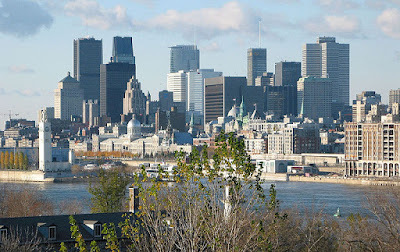 Montreal is the second largest city in Canada and is primarily French speaking. Mommy was born in a primarily English-speaking province (Ontario) and her first language is English, although she does speak French (with a very funny accent!). Samson and I are both native Montrealers so we're perfectly bilingual, although Samson was born in the Greek section of town, so that might explain why Mommy and I don't understand what he's saying some of the time! We want to thank Wally, Ernie and Zoey for inviting us to be members. So, when is our first meeting and since we're noobs, do we bring the catnip? Congratulations! That is great! We didn't know that Montreal was an island! Cool! OMC! We did not realize you were from Montreal! Bonjour!! We're on an island too... do you think our island is close to yours? maybe we could catch the tunas that swim between the islands? That's a very cool club you joined there! We didn't know about Montreal being an island either. Oh, is that what it takes to be a member of that club? We wondered. We'll certainly never be members, we're wayyyyyyyy land-locked in the US. MOL We never knew Montreal was on an island either! Wow, we didn't know Montreal was an island either! Momma wants to visit there someday before her passport expires (she LOVES Canada ya know). Have fun in the island club guys, and think of us poor landlubbers at your meetings. Congrats on being admitted to the Island club...who knew Montreal was an island! Congrats on becoming an Island Cat. That sounds like a really fun group to belong to. There is now way I could ever be one as I live in the midwest and pretty much no islands where I live. Oh well. Bonjour guys! (That's about all the French we know!) We're so happy to have you as members of our club! Remember, there's no meetings, no dues...just cats livin' on an island!! But if you want, we could have an informal meeting...and yes, the newbees hafta bring the nip!!! If there are any other cats out there living on an island, we'd love to have them as members too! And we've interpreted "island" to include Australia and the UK!! 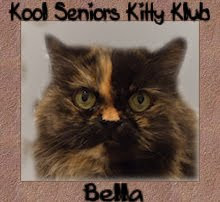 Congratulations on becomin g members of The Island Cat Club. We live in the UK which is one big island. Concatulations! Your city is furry pretty! We didn't know Montreal was an island and we didn't know your mommy spoke French and Samson is Greek! Love Montreal! We are on Cape Cod, have to drive over a bridge, so I guess we are an island. I should join. Great pictures. We didn't know Montreal was an island either. It's really beautiful. Sometimes we think we are on an island, but it's really a peninsular -- a real big island -- sort of we are surround by three sides of water. WE have lots of bridges here too. Momma hates driving over them. Well congrats on becoming Island Cats officially! Yet another distinction for two very distinctive kitties. We are soooo jealous! Concats, though! Pee Ess: Is your Mom on Facebook? Happy Belated Gotcha day Sampson!!!! Looks like you got a really nice forever home! WOW! You guys are soooo lucky to be one of the Island Cats! That's pawsome! Too bad we just live on a creek. Congrats! You guys are so lucky! I wish I could be an island cat! Wish I lived on an Island! Did you know my name is French? Cause the Kitten search was Finished when they found me. Congratulations. Mom learned something! 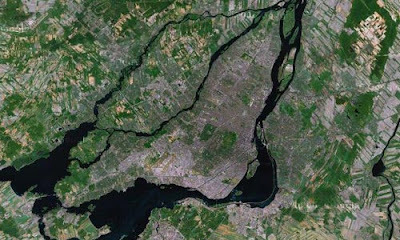 She did not know Montreal was an island! Concats on becoming an Island Cat member. 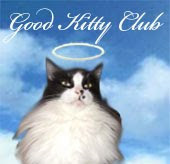 Our mewmie says if she ever moves to Vashon Island in Washington State, she will want to join this special club too...Tuna? Islands have Tuna? 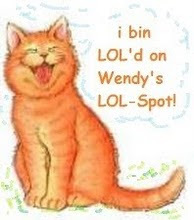 You lucky cats! Wow you are so lucky to be Island Cats! We wish we lived on an island! We had no idea that Montreal is an island (and I took French - we talked about Canada too - you would think they would have mentioned that)!